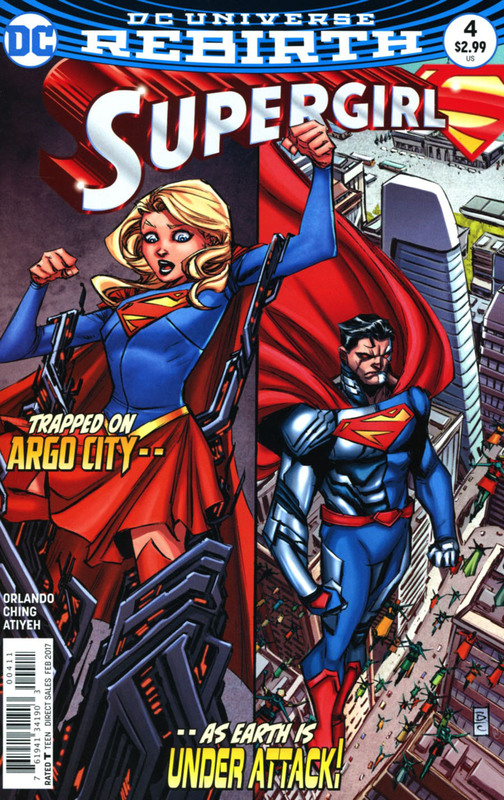 Cyborg Kryptonians from Argo City attack National City. D.E.O., military and police retaliate. Kara Zor-El has convinced Alura that, while she missed her friends and family from Argo, she doesn't want Earth sacrificed because of that. Perhaps realizing that Zor-El's plan is wrong, Alura ceases trying to kill Eliza Danvers. Meanwhile, desperate to escape her cyborg prison, Supergirl isolates the frequency of the machines controlling it and imitates it with a superhuman sound that destroys it. Kara and Eliza are ready to leave Argo City, but they may not get to National City in time. Cyborg Superman is confronting Jeremiah Danvers while his army is out to assimilate humanity. Will Supergirl be able to stop her father from turning Earth into a Cyborg Kryptonian Haven, or will the human race be Zor-El's next victims? 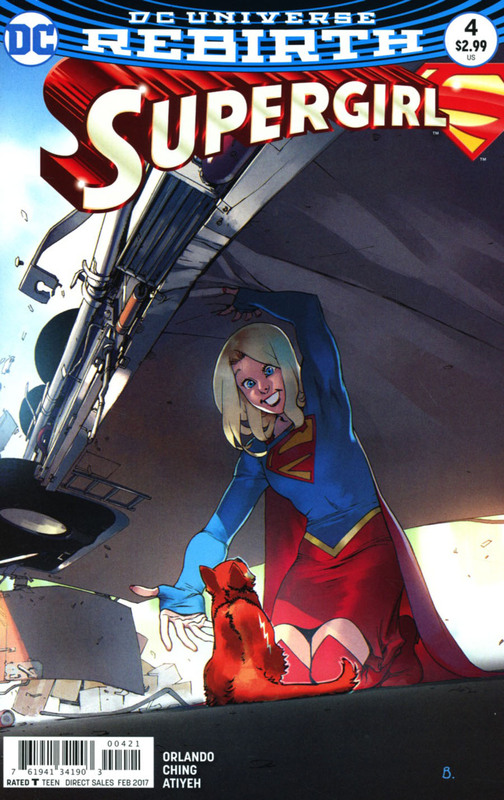 Story - 2: There are some good character moments between Kara, Alura and Eliza, and we do see Supergirl using her head to escape a situation instead of charging like a bull in a china shop. These things make this issue the best so far in series. Yet, the story is still not as good as it should be. The comic reads like Steve Orlando was in a hurry to make his deadline in time. Sure, the D.E.O. Defending Earth from Cyborg Kryptonians has potential, but where in the name of William Shatner's hairpiece are the rest of the DC Universe heroes during all of this? Surely, there must be someone available. Firestorm, Black Lightning, anyone, even Bouncing Boy could be available. Orlando just didn't think things through in my opinion. Art - 1: The art is still the worst I've seen in a comic book. If I say more, I may need to be censored because this is a family site. Cover Art - 1: The cover is as awful as the interior art. Change artists now, DC Comics.